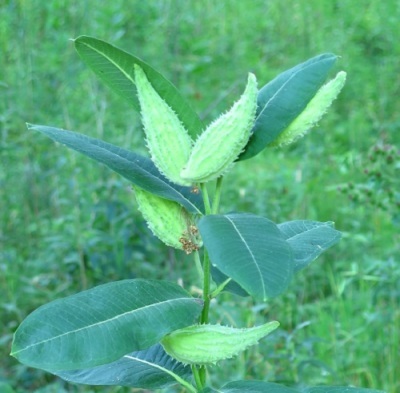 Milkweed leaves are an essential food for the caterpillars of monarch (and some other) butterflies. 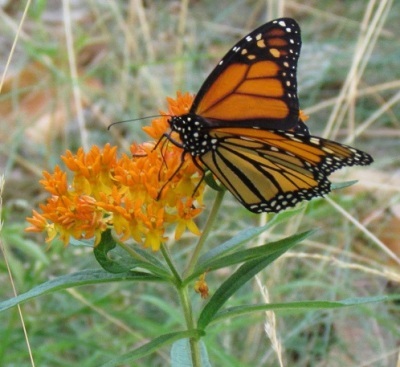 A substance ingested makes both the caterpillar and subsequent butterfly poisonous, so that birds avoid eating them. 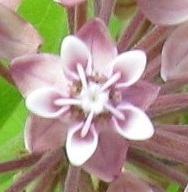 Milkweed flowers are pollinated by bees, butterflies and moths. 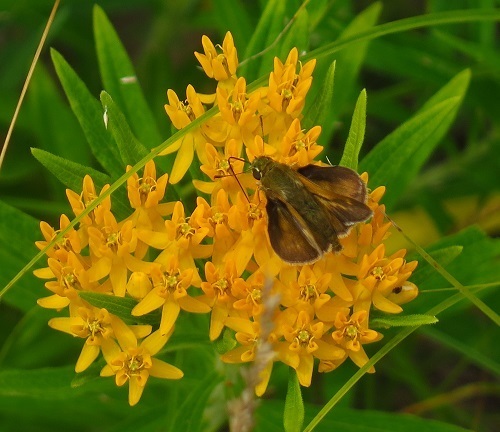 When an insect's foot enters a slit between the nectar-filled points in the flower, tiny pollen-coated "pollinia" (which look like saddlebags) attach themselves to the insect's leg. 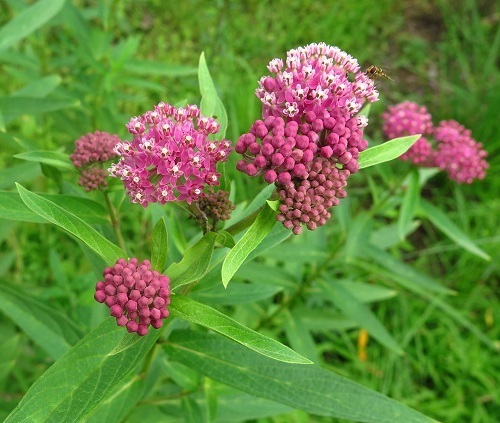 ​Milkweeds have unusual flowers. 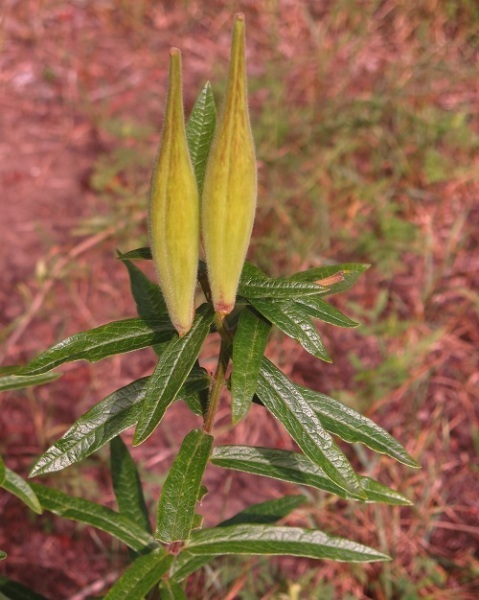 The petal-like corolla lobes, known as "horns" are bent backwards exposing the corona - 5 erect "hoods," each containing a stamen, which form a crown enclosing 2 pistils. 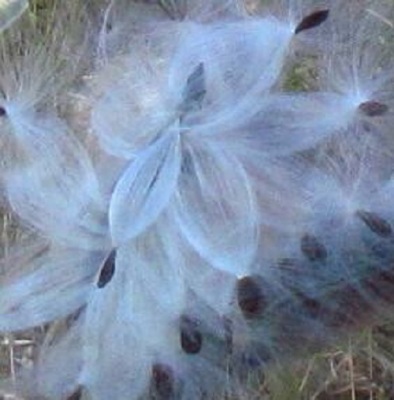 ​Flower: 1-1.5 cm arranged in dense globular clusters. 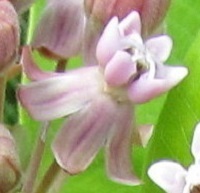 Colour varies from greenish to yellowish-brown to pinkish-purple. 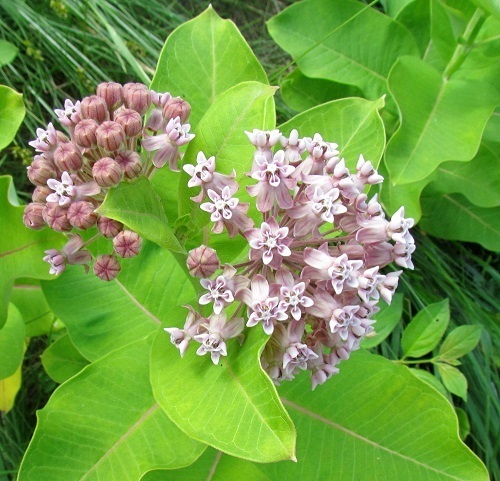 Has a strong sweet fragrance. ​Leaves and stem exude a milky sap. ​​Fruit: 8-12 cm horn-shaped pods containing many seeds with fluffy appendages, dispersed by wind. 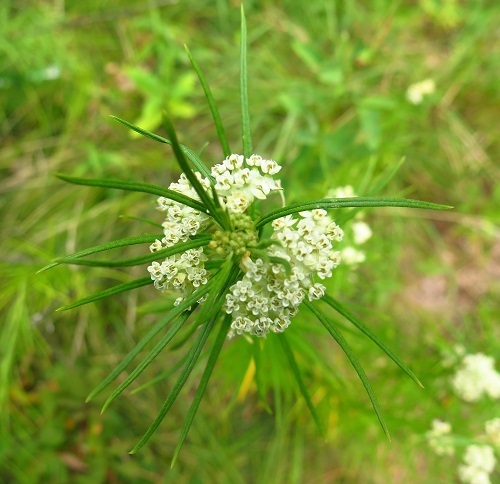 ​Flower: 5-7 mm in a flat-topped umbel. 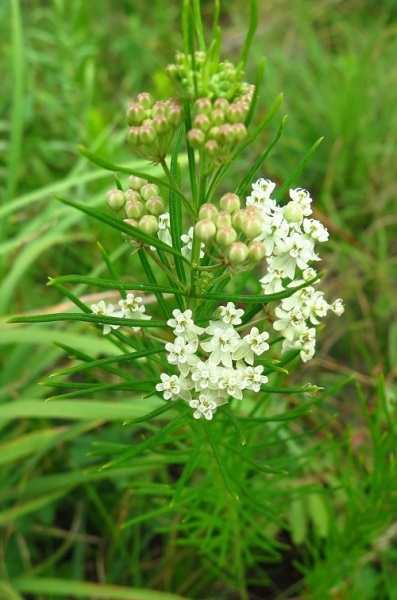 ​Flower: 2 mm, green-white in cluster. 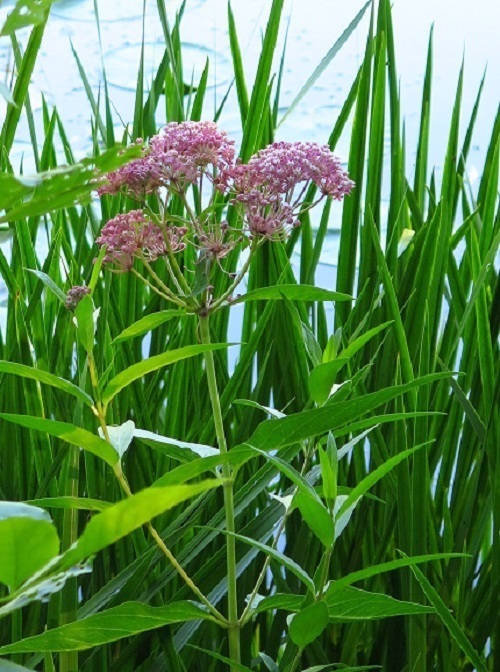 ​Flower: 7-10 mm in flat-topped umbel. 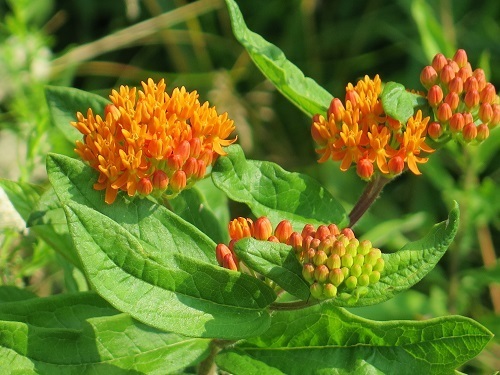 Unlike other milkweeds, its sap is clear.